UFC star Conor McGregor is facing legal actions yet again after his run-in with a fan went south. The incident happened at Fontainebleau in Miami. According to Ahmed Abdirzak, he was waiting for the hotel’s valet to bring his vehicle around when he spotted Conor McGregor not far from he was standing. Being a fan of the MMA icon, he took out his phone and snapped a photo of the Irishman, TMZ reported. Shortly after, Conor McGregor supposedly approached Abdirzak and extended his arm in what appeared to be an invitation to shake the fan’s hand. Instead, the fighter pulled Abdirzak closed, grabbed his phone, and proceeded to smash the device. Conor McGregor’s security then surrounded the London resident as he pleaded to have his phone back. And if that wasn’t enough, the MMA fighter took off with the handset, laughing as he did. Following the incident, Abdirzak filed a police report which resulted in Conor McGregor’s arrest hours later. He has been charged with criminal mischief and strong-arm robbery. The former is carrying a maximum of five-year imprisonment, while the latter has 15. Conor McGregor has since bailed out of prison for $12,500 with an added assurance of cooperation with authorities through his lawyer. As for the price of the ruined handset, Abdirzak said that it’s valued at $1,000. But the Brit cares more for the photos inside the phone. “I’ve got pictures of my son I’ll probably never get again,” Abdirzak said. Conor McGregor’s temper has been one of the things that have landed the fighter in serious legal situations. Last year, the Irishman was arrested after smashing a bus window transporting fighters set to compete during the UFC 223. 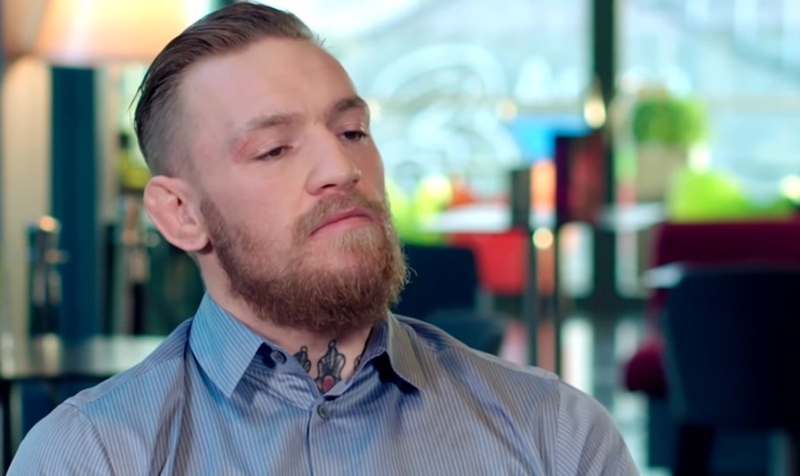 After being arrested, Conor McGregor reached a plea agreement where he was sentenced to five days of community service and anger management course. On the professional side of things, McGregor opted to withdraw from his fight with Donald “Cowboy” Cerrone as he wants a rematch against Khabib Nurmagomedov.